By Eva March Tappan. A masterful retelling—in modern English—of a selection of The Canterbury Tales, one of the English language’s most popular and long-lasting literary works. Written at the end of the fourteenth century in Middle English and published as the “Tales of Caunterbury,” Geoffrey Chaucer’s work has been credited with popularizing the literary use of vernacular English, rather than French or Latin. This vernacular was, however, Middle English, and still moderately difficult for the modern English reader. 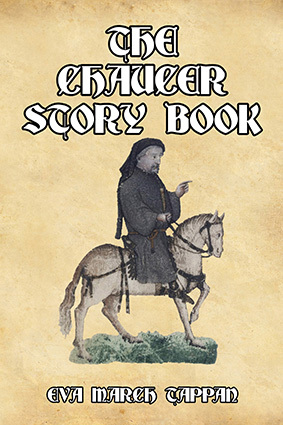 This version takes the most popular tales fromThe Canterbury Tales, and retells them in a style and language designed to make them accessible to the modern reader. The tales, converted from their original prose, are presented as part of a story-telling contest by a group of pilgrims as they travel together on a journey from Southwark in London to the shrine of St. Thomas à Becket at Canterbury Cathedral. The prize for this contest is a free meal at the Tabard Inn at Southwark on their return. In these tales the reader will learn of courtly love, high adventure at sea and on land, Roman heroes, the grisly end of a gang of robbers, moral lessons on love and beauty, the drawing down to hell of a corrupt church official, the testing of a Piedmont nobleman’s wife’s loyalty, Genghis Khan (“Cambyuskan” in Chaucer’s text), the trickery of an alchemist, and much more. “Humor, pathos, character-drawing, mischievous satire, and love of nature . . . all these qualities are found abundantly in the poetry of Chaucer. . .”—from the author’s preface. This new edition has been completely reset and contains all the original illustrations. 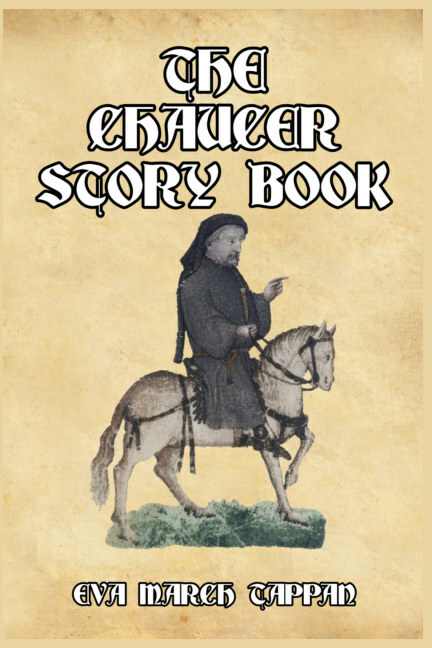 Front cover illustration: Chaucer from the Ellesmere manuscript. About the author: Eva March Tappan (1854–1930) was a teacher and author from Massachusetts. She graduated from Vassar College and obtained a graduate degree in English Literature from the University of Pennsylvania. She taught Latin and German at Wheaton College, was Associate Principal at the Raymond Academy in Camden, New Jersey, and finally head of the English department at the English High School at Worcester, Massachusetts.